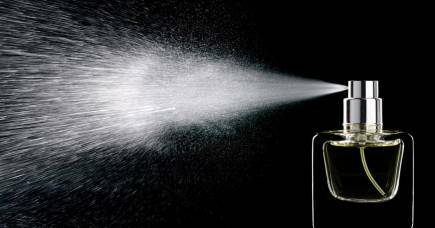 From our archives: What are the hidden hazards of everyday fragrances? all emit a range of what are known as ?volatile organic compounds?, or VOCs. Melbourne. Welcome to Up Close, Anne. can include our homes, schools, offices as well as transportation. and furnishings and consumer products used indoors. Can you describe for us some of the poor air quality and its effect on human health? these pollutants and what can we do about it? compounds and new types of materials that didn't exist 50 years ago. problems as well as carbon dioxide? cause problems with indoor air quality. required to disclose all of their ingredients. them and how do they affect indoor air quality? freshener it was not regulated. neurotoxins and carcinogens that have an effect on the human body? and creating a cocktail and a soup of VOCs that didn't exist before. can ultimately harm human health. people have adverse reactions when exposed to small amounts of these products. causing people to have these adverse health effects. or essential oils it doesn't mean that it doesn't emit potentially hazardous chemicals. I'm Andi Horvath and our guest today is engineering Professor Anne Steinemann. help the general worker population. except for certain things such as flavours, which are very similar to fragrances. indoor air quality, have they? to reformulate products to make them acceptable to greater numbers of consumers. the ones I tested emitted potentially hazardous chemicals, what options are there? sensitive like asthmatics. Can you comment on that? the air fresheners and it says things such as organic perfume and essential oils. Then the supervisors say well look at these air fresheners, they're perfectly safe. the products emitted potentially hazardous chemicals. 2015, the University of Melbourne. After more than 400 episodes, we’re taking a look back at some of the gems in our archives. In this episode, civil and environmental engineer Professor Anne Steinemann outlines the causes and consequences of poor indoor air quality, and in particular the potentially hazardous fumes generated by home cleaning and personal care products.